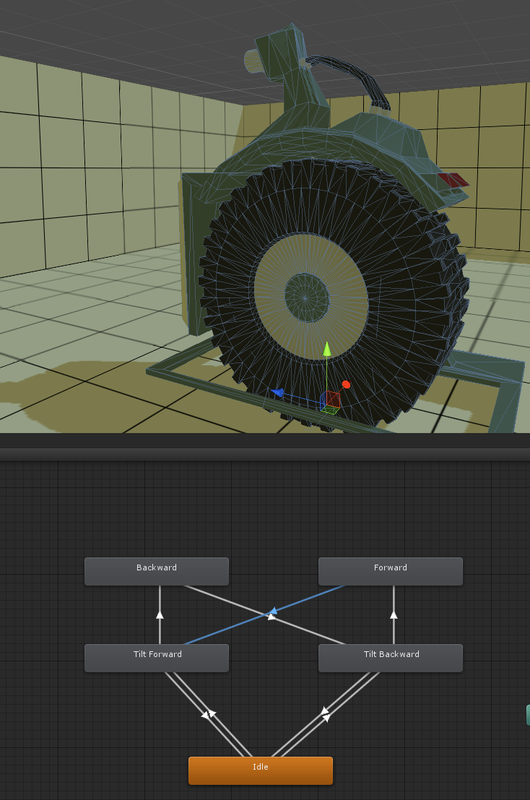 I am finally getting all the animation blend trees and states working correctly. Firstly, the rigid bodies need to be skinned to a skeleton and the skeleton needs to be setup correctly and match the skeletons that are then animated. 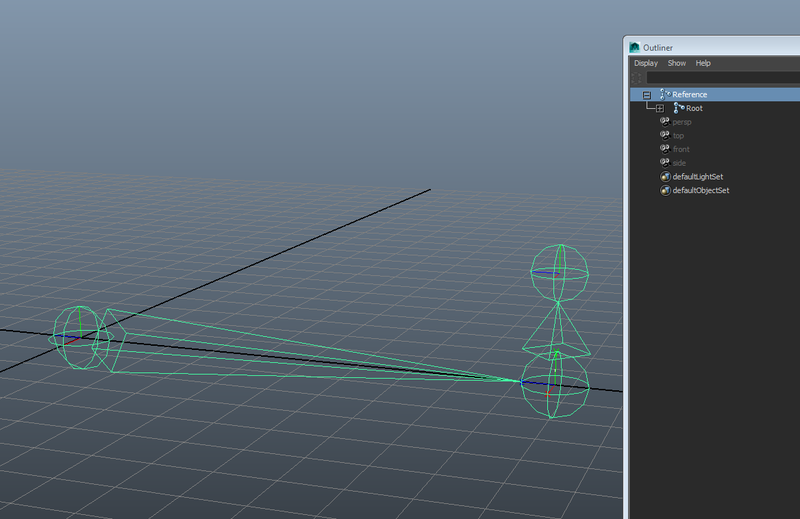 Meaning that I don´t have a fancy tracks and animations sequences in Maya. I actually have to create duplicate skeletons for every animation for a particular character. Since Maya LT now has MEL scripting I can actually automate all the saving out of such animation info into separate .fbx files and hook them into the Animator in Unity. 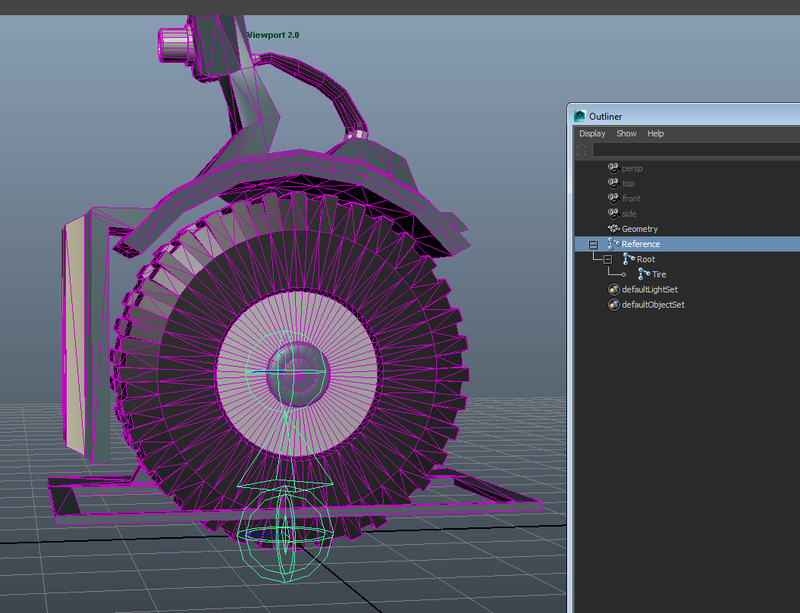 There is only soft skinning available in Maya LT. Which works just fine, but will always give you warnings if you are binding to some rigid bodies that have been modeled with Boolean operations that might create some hidden non manifold geometry or other troubles the soft skinning solver might not like. The skeleton should have some root or a reference node for the Mechanic system in Unity. There you can control if you want the root motion to apply to the model or control the model through scripts, but it is good to understand and setup everything so that you can play full animations without much script intervention. The animation files themselves are just empty skeletons that match the skeleton of the one that is attached to the animating geometry. And when all your roots, timings and other import settings have been applied correctly you can start creating your animation state machine and blend trees. Now, all my scripts need to do is to send changes to state variables so that the animator will alter the animation for you. No bulky C# Mono interpreter evaluating programmer animation logic, all native engine features with there free patches and optimizations as the engineers of Unity improve and enhance. That was an interesting two day adventure getting all that up and running. Like I have said many times before, I do not intend to use these tools with one eye open. Every feature and every strength of them will be fully utilized to maximize stability and performance of my little game.